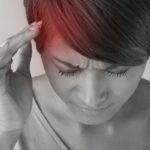 Do you suffer from headache or migraines? Have you tried a number of different approaches without success? David uses the Watson Headache® approach to assess and effectively treat headaches and migraines. Dean Watson (Australian Musculoskeletal Physiotherapist) of the Watson Headache® Institute has spent many years treating thousands of headache and migraine sufferers. A combination of his treatment and research has resulted in an extremely effective treatment approach. There is no guesswork and no cervical manipulation. 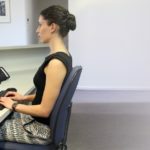 Its unique and powerful feature involves temporary reproduction and resolution (easing) of usual head pain. David has undertaken training with Dean Watson of the Watson Headache® Institute. In March 2016 David attended the, Level 2, “Foundation and Consolidation Headache Course -The Role of C1-C3 Cervical Afferents in Primary Headache” in Sydney. David previously completed the Level 1 course in 2013. Both courses were presented by Dean Watson, Australian Musculoskeletal Physiotherapist. (For further information, go to: www.WatsonHeadacheInstitute.com).